The holiday apartment is located on the first floor of a two-story building. 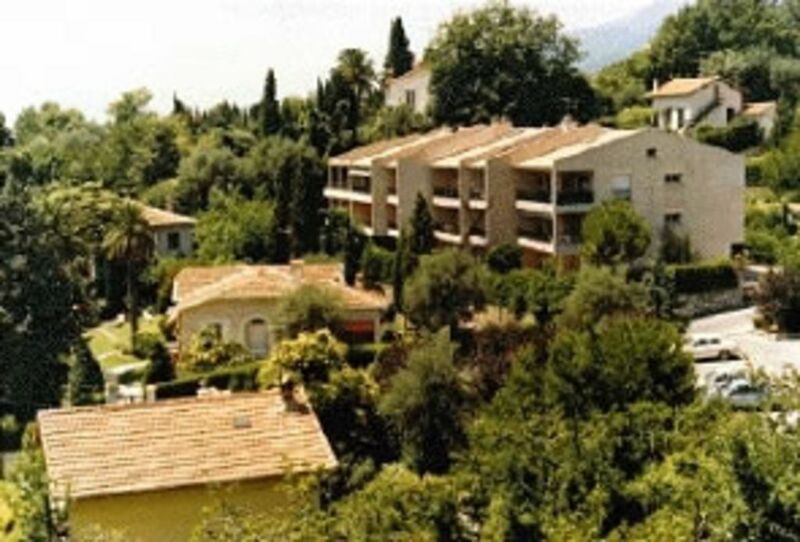 This building is located on a slope on the edge of the city of Vence in the middle of gardens and villas on a peaceful dead-end street (no high-rises, no loud inns nearby, only traffic from residents). Despite the location on the edge of the city, the centre can be reached in a 10 minute walk. The apartment is completely equipped, has 32 m² and has a sight-protected balcony in a south-facing location with a view into the green. In the living room you will find a bed and a sofa bed. Vence is located in the centre of the French Riviera between Nice (20 km) and Cannes (30 km) not far from Monaco/ Monte Carlo (40 km). Its elevated location (325 m) allows for a wonderful view of the coastal landscape. Vence is protected to the north from the foothills to the Sea Alps.